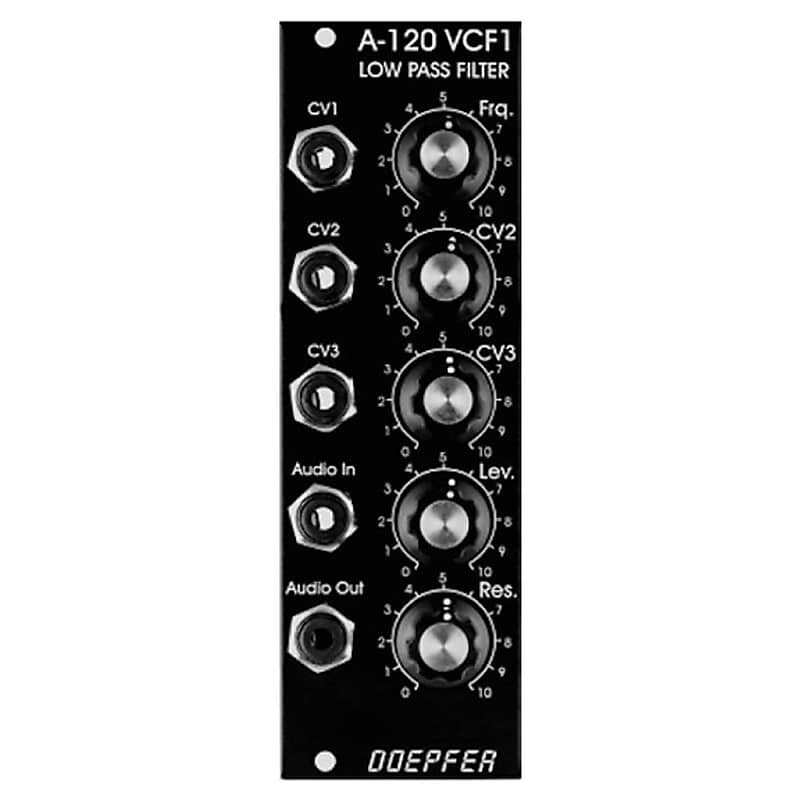 Module A-120 is a voltage controlled low-pass filter, which filters out the higher parts of the sound spectrum, and lets lower frequencies pass through. The Cut-Off Frequency determines the point at which filtering takes effect. You can control this manually, or by voltage control (filter modulation, for instance by an LFO). Three CV inputs are available, and the sum of the voltages from these affects the filter cut-off. 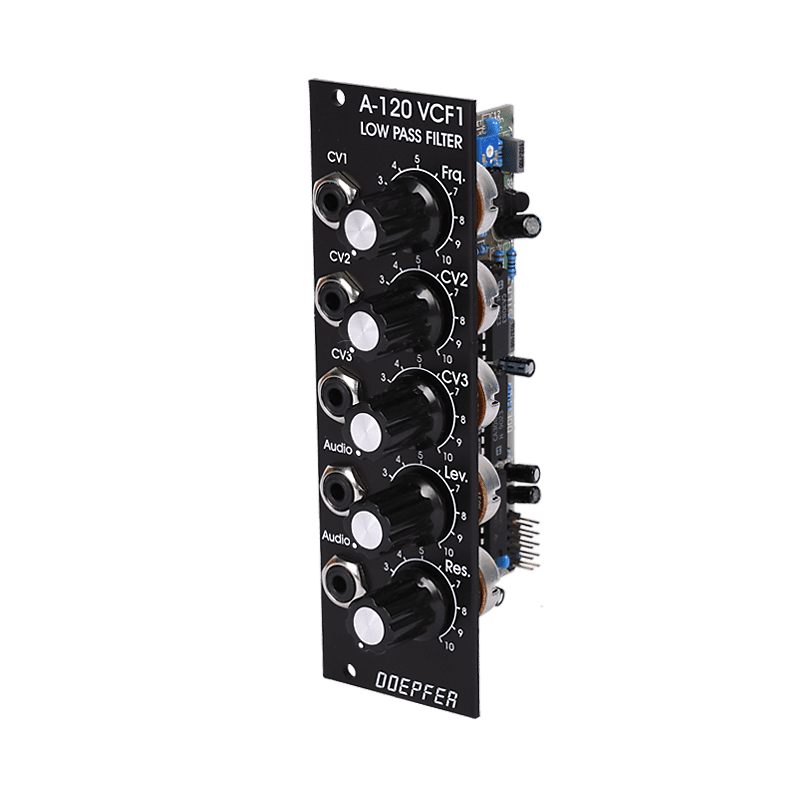 The module is based on a so-called "transistor ladder" design, with a cut-off slope of -24 dB/octave, as in various Moog synthesizers. That's what gives it its classic, legendary Moog sound. Resonance (or Emphasis) is adjustable all the way up to self-oscillation - in which case the filter behaves like a sine wave oscillator. All Items ordered will ship within 48 hours on most occasions baring human or technological disasters. Our Normal Shipping Days are Mondays, Wednesdays, & Fridays. We can get things out same day if needed or use a Courier Service for the Greater Los Angeles area. In those cases, please pick up the phone and call us so we can do our best to make that happen. Always review your order and give us your accurate delivery address. Orders once shipped that have to be re-routed will incur whatever fee we are charged to do that. Packages that are returned to us will incur a second shipping fee if the item is still desired and needs to be re-shipped. If you purchase multiple items from us, you will save money as we will ship them together and refund you monies due. We can ship most things all over the world. Because freight costs vary wildly from country to country, please contact us for any items you want shipped internationally. An email with the Ship To Address and referencing the item you want to purchase will get you a timely 24 hour response. Returned defective merchandise is not charged a restocking fee. In cases such as these, we will replace or authorize repair at no further expense to You. Please contact us before returning if there is an issue, and we usually make it right by the path of least resistance for all involved. All otherwise returned merchandise (changed Your mind, etcetera) will be assessed on a case by case basis with respect to care of the item in question as well as the packaging/accessory contents. Based on purchase price of $154 at 10% APR for 12 months. Excludes tax and shipping fees, to be calculated at checkout. Rates range from 10-30% APR. Choose from 3, 6, or 12 monthly payments.